1 Schaever Coffee Art Plus Espresso Machine. Model-SCA-1. Super automatic dual boilers with fine steam technology for cappuccino and latte foam. Auto shut off steam wand. 34542 $1050.00 $1100.00	 login to bid. login to bid. Schaever Coffee Art Plus Espresso Machine. Model-SCA-1. Super automatic dual boilers with fine steam technology for cappuccino and latte foam. Auto shut off steam wand. 2 Bunn Coffee Mill. Black Bulk Coffee Grinder. 34542 $300.00 $310.00	 login to bid. login to bid. Bunn Coffee Mill. Black Bulk Coffee Grinder. 3 Curtis Single Air Pot Brewer. 120V. 34542 $125.00 $130.00	 login to bid. login to bid. Curtis Single Air Pot Brewer. 120V. 4 Curtis CB Combo Coffee Tea Brewer with Adjustable Shelf. 120V. Curtis CB Combo Coffee Tea Brewer with Adjustable Shelf. 120V. 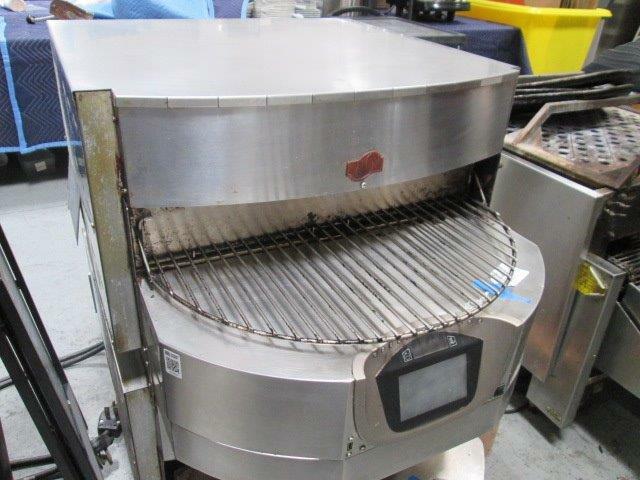 5 Ovention M-360-12 30 inch Electric Impinger Oven, Standard Single Stack. Delivers enhanced performance without the need of ventilation Cooking cavity is only open when food is entering or exiting the oven Revolutionary Precision Impingement allows you to control time, temperature, and independent blower speeds for every item Up to 600 pre-programmed cook settings No need for microwaves! Unique rotating cook cavity system minimizes escape of hot air Reduces energy consumption Reduces air extraction / HVAC costs FlexTemp increases or decreases the temperature by up to 25°F from one item to the next 2 Cooking surfaces automatically load at the tap of a touch pad USB menu capability Bakes, broils, cooks, grills, roasts, and more! 34542 $850.00 $900.00	 login to bid. login to bid. 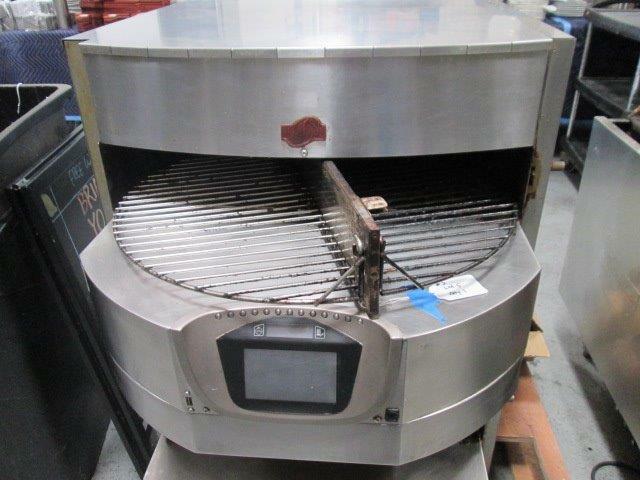 Ovention M-360-12 30 inch Electric Impinger Oven, Standard Single Stack. Delivers enhanced performance without the need of ventilation Cooking cavity is only open when food is entering or exiting the oven Revolutionary Precision Impingement allows you to control time, temperature, and independent blower speeds for every item Up to 600 pre-programmed cook settings No need for microwaves! Unique rotating cook cavity system minimizes escape of hot air Reduces energy consumption Reduces air extraction / HVAC costs FlexTemp increases or decreases the temperature by up to 25°F from one item to the next 2 Cooking surfaces automatically load at the tap of a touch pad USB menu capability Bakes, broils, cooks, grills, roasts, and more! 6 Ovention M-360-12 30 inch Electric Impinger Oven, Standard Single Stack. Delivers enhanced performance without the need of ventilation Cooking cavity is only open when food is entering or exiting the oven Revolutionary Precision Impingement allows you to control time, temperature, and independent blower speeds for every item Up to 600 pre-programmed cook settings No need for microwaves! Unique rotating cook cavity system minimizes escape of hot air Reduces energy consumption Reduces air extraction / HVAC costs FlexTemp increases or decreases the temperature by up to 25°F from one item to the next 2 Cooking surfaces automatically load at the tap of a touch pad USB menu capability Bakes, broils, cooks, grills, roasts, and more! 7 (x3) Vertex White Ceramic Coffee 9oz. Mugs. Three Dozen. Three times your bid. $8.06	 login to bid. login to bid. Vertex White Ceramic Coffee 9oz. Mugs. Three Dozen. Three times your bid. 8 (x3) Vertex White Ceramic Coffee 9oz. Mugs. Three Dozen. Three times your bid. $7.50	 login to bid. login to bid. 9 Hall China 3761/22AWH Tankard 2oz. Creamer Cups. 24 pieces. 25413 $0.76 $1.01	 login to bid. login to bid. Hall China 3761/22AWH Tankard 2oz. Creamer Cups. 24 pieces. 10 Hall China 3761/22AWH Tankard 2oz. Creamer Cups. 24 pieces. 22514 $1.01 $1.26	 login to bid. login to bid. 11 Hall China 3761/22AWH Tankard 2oz. Creamer Cups, wihtout handle. 24 pieces. 25413 $0.94 $1.19	 login to bid. login to bid. Hall China 3761/22AWH Tankard 2oz. Creamer Cups, wihtout handle. 24 pieces. 12 (x18) Vertex 6.5oz. White Rice Ceramic Bowl. Eighteen times your bid. Vertex 6.5oz. White Rice Ceramic Bowl. Eighteen times your bid. 13 (x18) Vertex 6.5oz. White Rice Ceramic Bowl. Eighteen times your bid. $4.56	 login to bid. login to bid. 14 (x18) Vertex 6.5oz. White Rice Ceramic Bowl. Eighteen times your bid. $4.26	 login to bid. login to bid. 15 (x16) Vertex 6.5oz. White Rice Ceramic Bowl. Sixteen times your bid. $4.02	 login to bid. login to bid. Vertex 6.5oz. White Rice Ceramic Bowl. Sixteen times your bid. 16 Lot of 12 inch Table Craft Chrome Plated Table Number Holder. 1 lb. each. 24 pieces. 56544 $4.01 $5.01	 login to bid. login to bid. Lot of 12 inch Table Craft Chrome Plated Table Number Holder. 1 lb. each. 24 pieces. 17 Lot of 12 inch Table Craft Chrome Plated Table Number Holder. 1 lb. each. 24 pieces. 18 Lot of 12 inch Table Craft Chrome Plated Table Number Holder. 1 lb. each. 24 pieces. 56544 $5.00 $6.00	 login to bid. login to bid. 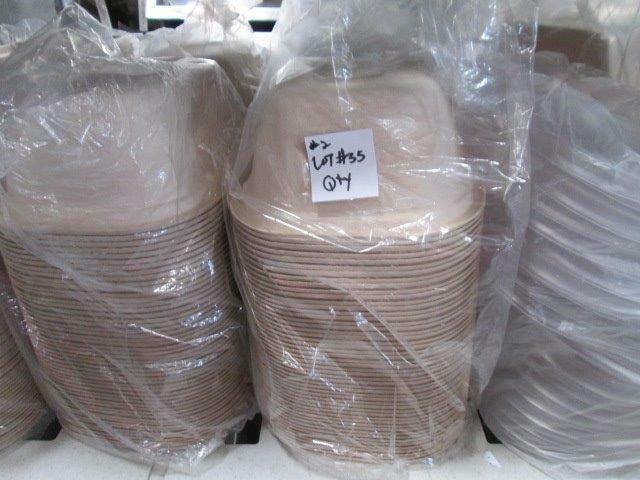 19 (x19) Hall China 16 oz. London Teapots. Does not transfer flavors like metal or plastic. Chip resistant, lead-free. Microwave and freezer safe. Made in the USA. Nineteen times your bid. Hall China 16 oz. London Teapots. Does not transfer flavors like metal or plastic. Chip resistant, lead-free. Microwave and freezer safe. Made in the USA. Nineteen times your bid. 20 Carter-Hoffmann Modular Heated 4 Chamber Holding Cabinet. Stainless Steel. 120v. 1200w. For moist/fried foods, cavities, electronic temperature control up to 225 F. Timers per shelf. 64590 $220.00 $230.00	 login to bid. login to bid. Carter-Hoffmann Modular Heated 4 Chamber Holding Cabinet. Stainless Steel. 120v. 1200w. For moist/fried foods, cavities, electronic temperature control up to 225 F. Timers per shelf. 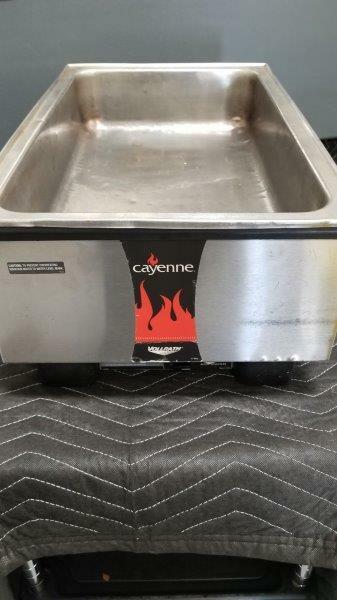 21 Vollrath Cayenne Full Size Counter-top Warmer with Stainless Steel Exterior. 120v. 700w. 90370 $22.50 $23.50	 login to bid. login to bid. Vollrath Cayenne Full Size Counter-top Warmer with Stainless Steel Exterior. 120v. 700w. 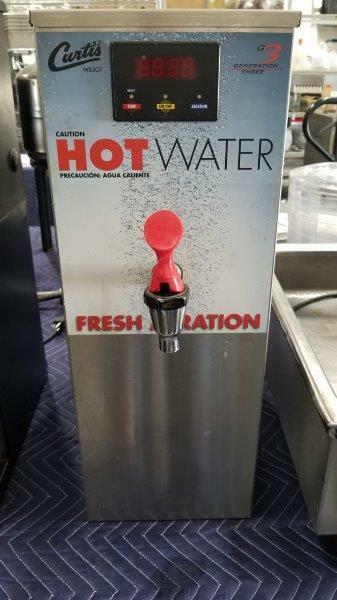 22 Curtis 5 Gallon Dual Voltage Hot Water Dispenser with Aerator. 120/220v. 54824 $95.00 $100.00	 login to bid. login to bid. Curtis 5 Gallon Dual Voltage Hot Water Dispenser with Aerator. 120/220v. 23 Two commercial cotton cut mop heads. 64590 $6.15 $7.15	 login to bid. login to bid. Two commercial cotton cut mop heads. 24 Sloan Water Free Urinal Cartridges. For use in Sloan and Falcon water free urinals. 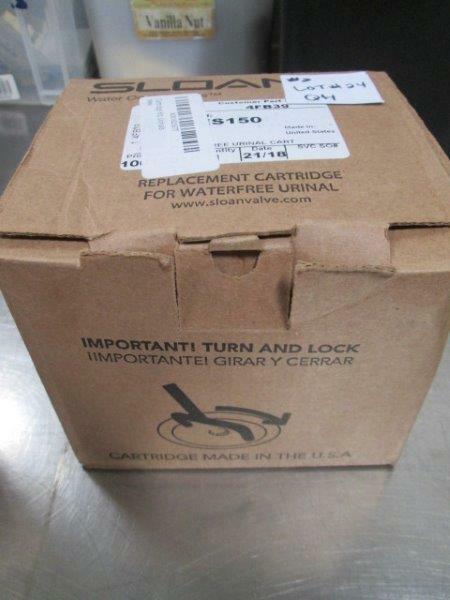 Sloan Water Free Urinal Cartridges. For use in Sloan and Falcon water free urinals. 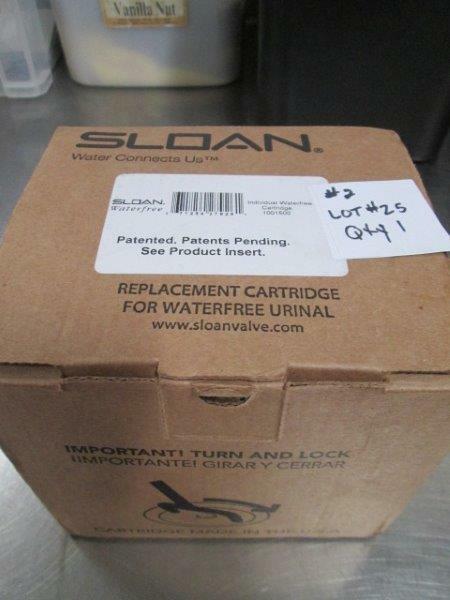 25 Sloan Water Free Urinal Cartridges. For use in Sloan and Falcon water free urinals. 26 (x2) Eco Products 7.75 inch Clear Wrapped Straws, 8mm. For cold drinks only. 400 per box. Two Boxes, Two times your bid. 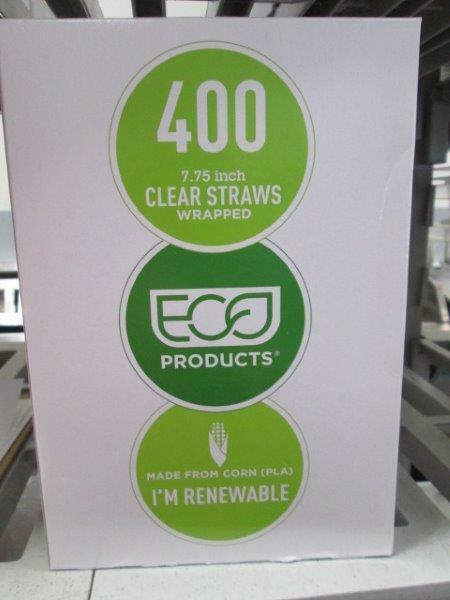 Eco Products 7.75 inch Clear Wrapped Straws, 8mm. For cold drinks only. 400 per box. Two Boxes, Two times your bid. 27 (x2) Eco Products 7.75 inch Clear Wrapped Straws, 8mm. For cold drinks only. 400 per box. Two Boxes, Two times your bid. 28 (x2) Eco Products 7.75 inch Clear Wrapped Straws, 8mm. For cold drinks only. 400 per box. Two Boxes, Two times your bid. 29 (x2) Eco Products 7.75 inch Clear Wrapped Straws, 8mm. For cold drinks only. 400 per box. Two Boxes, Two times your bid. 30 (x2) Eco Products 7.75 inch Clear Wrapped Straws, 8mm. For cold drinks only. 400 per box. Two Boxes, Two times your bid. 31 (x2) Eco Products 7.75 inch Clear Wrapped Straws, 8mm. For cold drinks only. 400 per box. Two Boxes, Two times your bid. 32 (x3) Eco Products 7.75 inch Clear Wrapped Straws, 8mm. For cold drinks only. 400 per box. Three Boxes, Three times your bid. Eco Products 7.75 inch Clear Wrapped Straws, 8mm. For cold drinks only. 400 per box. Three Boxes, Three times your bid. 56544 $4.50 $5.50	 login to bid. login to bid. 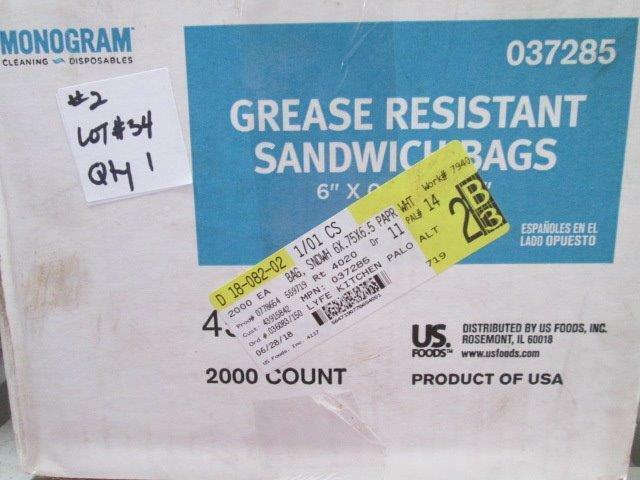 34 Grease Resistant Sandwich / Pastry Bags. 1500 count. Open box item. 56544 $4.02 $5.02	 login to bid. login to bid. 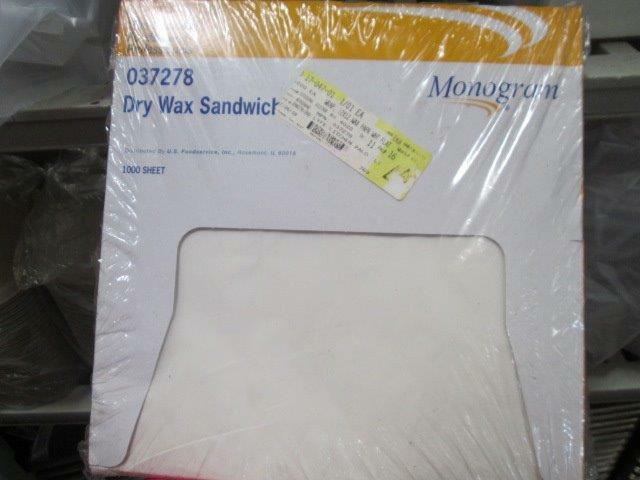 Grease Resistant Sandwich / Pastry Bags. 1500 count. Open box item. 35 Large Food Container, "take out". Comes with lids. 350 Count. Environmentally Safe, Unbleached Plant Fiber. Made with wheat straw fiber. 64590 $12.01 $13.01	 login to bid. login to bid. 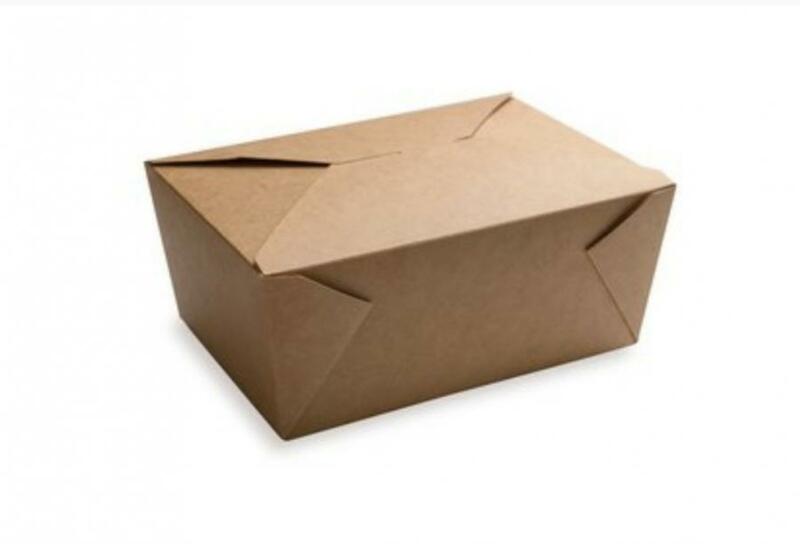 Large Food Container, "take out". Comes with lids. 350 Count. Environmentally Safe, Unbleached Plant Fiber. Made with wheat straw fiber. 36 Flatbread/Pizza Box, Eco Friendly Compostable Container. 200 Count Full Box. 52515 $0.26 $0.51	 login to bid. login to bid. Flatbread/Pizza Box, Eco Friendly Compostable Container. 200 Count Full Box. 37 Flatbread/Pizza Box, Eco Friendly Compostable Container. 200 Count Full Box. 38 Flatbread/Pizza Box, Eco Friendly Compostable Container. 200 Count Full Box. 39 Flatbread/Pizza Box, Eco Friendly Compostable Container. 200 Count Full Box. 40 COMPOST-A-PAK "Take Out" Container. Unbleached Plant Fiber. 200 Per Case. 64 oz. Compostable plant fiber containers are: microwave and freezer safe, can be used for both hot and cold items, soak proof, have no plastic or wax lining, handle hot liquids up to 220 Fahrenheit (moisture forms at the bottom for hot food items) fully compostable, sturdy and strong. 64590 $10.01 $11.01	 login to bid. login to bid. COMPOST-A-PAK "Take Out" Container. Unbleached Plant Fiber. 200 Per Case. 64 oz. Compostable plant fiber containers are: microwave and freezer safe, can be used for both hot and cold items, soak proof, have no plastic or wax lining, handle hot liquids up to 220 Fahrenheit (moisture forms at the bottom for hot food items) fully compostable, sturdy and strong. 41 COMPOST-A-PAK "Take Out" Container. Unbleached Plant Fiber. 200 Per Case. 64 oz. Compostable plant fiber containers are: microwave and freezer safe, can be used for both hot and cold items, soak proof, have no plastic or wax lining, handle hot liquids up to 220 Fahrenheit (moisture forms at the bottom for hot food items) fully compostable, sturdy and strong. 64590 $10.50 $11.50	 login to bid. login to bid. 42 #4 Craft Rectangular Bio-Box Take Our Container. 98oz. 200 Count. 56544 $3.01 $4.01	 login to bid. login to bid. #4 Craft Rectangular Bio-Box Take Our Container. 98oz. 200 Count. 56544 $1.75 $2.00	 login to bid. login to bid. 44 White Napkin Bands. Over 8000 Count. 56544 $1.51 $1.76	 login to bid. login to bid. White Napkin Bands. Over 8000 Count. 45 Two Vegetable Slicers. All one money. 25413 $5.00 $6.00	 login to bid. login to bid. Two Vegetable Slicers. All one money. 46 Cambro Brown Plastic Booster Seat - Single Height. Three times your bid. 25413 $5.50 $6.50	 login to bid. login to bid. Cambro Brown Plastic Booster Seat - Single Height. Three times your bid. 47 Nemco Easy Tomatoe Slicer. Cast Aluminum with Stainless Steel Blades. 11511 $30.00 $31.00	 login to bid. login to bid. Nemco Easy Tomatoe Slicer. Cast Aluminum with Stainless Steel Blades. 48 Misc Lot of Carlisle Store and Pour One qt. Containers and Lids. 11511 $2.08 $3.08	 login to bid. login to bid. Misc Lot of Carlisle Store and Pour One qt. Containers and Lids. 49 Misc Lot of Office Items. All one money. 90370 $3.00 $4.00	 login to bid. login to bid. Misc Lot of Office Items. All one money. 50 EcoLab Water Testing Kit. Hydron Test Paper. Includes Boxes of Probe wipes. 90522 $6.00 $7.00	 login to bid. login to bid. EcoLab Water Testing Kit. Hydron Test Paper. Includes Boxes of Probe wipes.